Update: Facebook changed the way this feature worked shortly after releasing it, and no longer reveals one’s exact location. 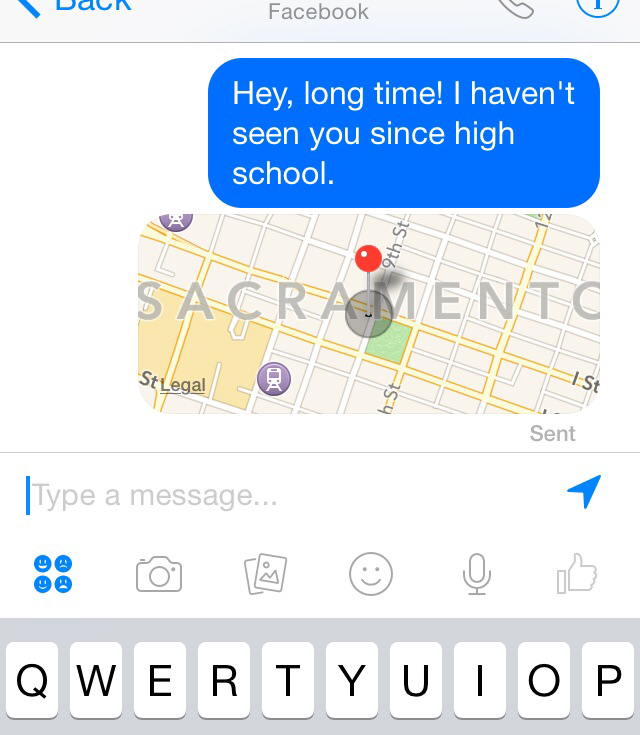 Facebook messenger now shows exact location of every chat message. 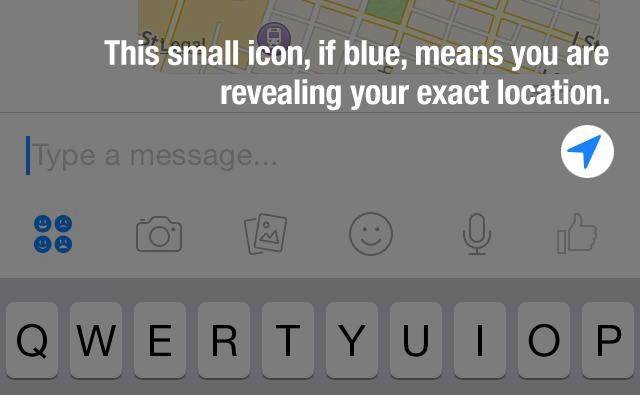 Just click on a previous chat bubble and, if location was enabled, a map appears. Reason 1: It used to just show city. Now it shows full location, retroactively. When the location feature was introduced in chats, it showed the city where the chat originated. Like most people, I thought it just showed city, essentially “blurring” my exact location. Facebook, however, was storing the exact location, and now it has decided to include it in all previous chats. Fortunately, it’s not a problem for me. But imagine, if someone was telling their ex, “I just need a break right now.” and thought they were sending their city (and had all but forgotten about the seemingly innocuous feature) and now have their location (e.g. friend’s house) completely revealed. You can probably imagine other situations where this could be problematic. One can now look back in time with most everyone they had communicated with to see if they were where they said they were. I originally discovered the issue when communicating with a journalist on Facebook. He had send me a message, and when I scrolled up to view it, I accidentally clicked on the bubble and a map to his house pulled up. I don’t think he intended to share his home address. Reason 2: It doesn’t seem possible to un-share previous locations sent in chats. All my previous messages, and all messages sent to me with location now have an exact address attached to every previous chat, assuming location was enabled. Accidentally sent your stalker a “leave me alone” message? If you forgot to disable the location, you may have also sent him or her a way to get easy driving directions to your precise location. I can guarantee you that people have accidentally turned on this feature. 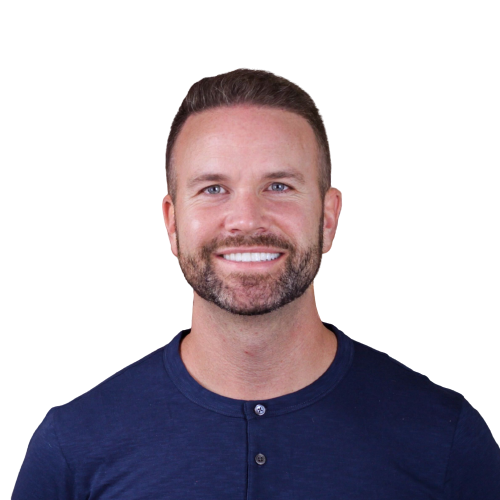 Facebook must walk a very careful line to encourage sharing while protecting the privacy and safety of its users from accidental over-sharing. In this case, it may need to redraw the line to meet users’ expectations.